Offered only to our Practical Woodworking Course graduates, this advanced course delivers a whole new level of challenges and skill-building. 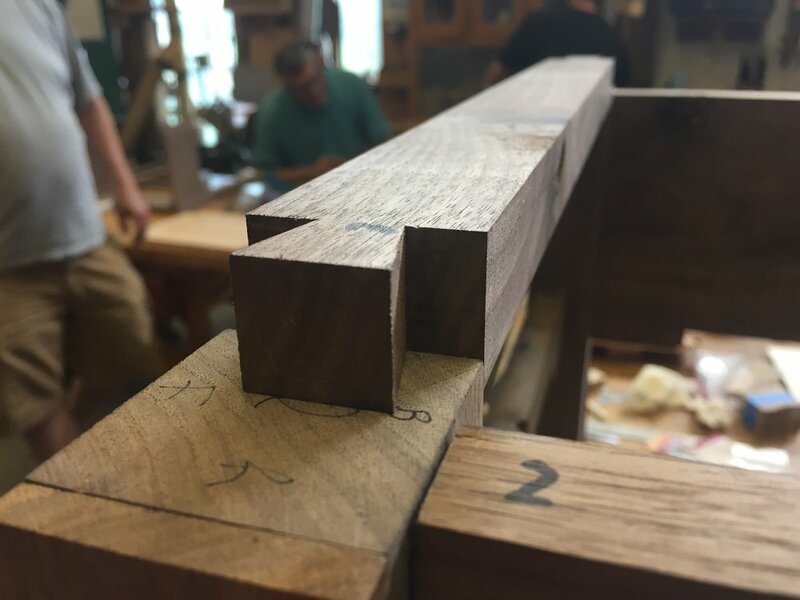 The course teaches students how to perfect cut hand-cut and machine-cut dovetails, drawer construction, Greene & Greene style breadboard ends, floating shelf construction, cloud lift skirt board details, and more! Every student spends the week building a walnut and cherry accessory table to take home.